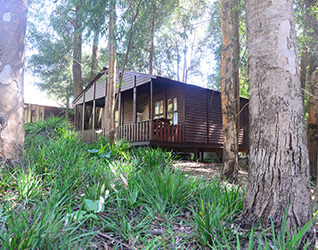 A perfect weekend destination from anywhere along the Garden Route, Port Elizabeth or Cape Town, Plett Forest Cabins, tucked away in the Harkerville Forest, offers visitors a host of comfortable and affordable accommodation with a host of activities on the property and in the nearby surroundings. Away from the hustle and bustle of town this tranquil forest retreat is perfect for the Honeymooner, the Romantic Couple, the Family needing a break, or the perfect destination for a group breakaway or Family Reunion. 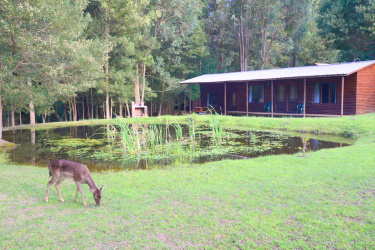 On offer are rustic fully equipped self-catering cabins sleeping from 2 to 6 guests. 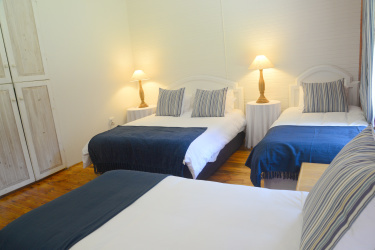 All cabins are fully equipped with linen, towels, cutlery, crockery, a fridge, stove and microwave. 5 of the 6 cabins have Jacuzzi Baths. The 6th, a two bedroomed unit overlooking the dam, has en-suite showers. Each cabin has an outside braai area. 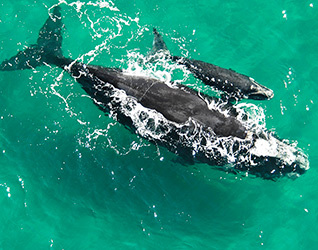 For those who do not want to self-cater, there are numerous restaurants in Plettenberg Bay or Knysna which is only 20 minutes drive away respectively. Activities include hiking, bird-watching and swimming in the river. 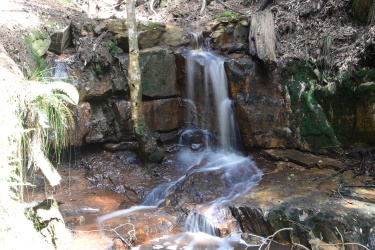 In addition to the opportunities for hiking and swimming on the property, the Harkerville mountain biking trails are only 5kms away. Parents with small children bring your cameras with, the five tame fallow deer will be soon be eating out of your children’s hands and you will want to catch their facial expressions on camera. 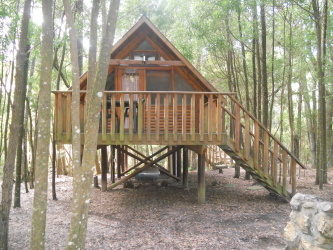 For the adrenalin junkies, Plett Forest Cabins offers 10% discount vouchers for a number of activities in the area, including Tsitsikamma Falls Adventures, AfriCanyon and Tsitsikamma Canopy Tours. For family outings, Plett Forest Cabins offer 10% discount vouchers to see the Elephants, Monkeyland, Birds of Eden and the wild cats at Teniqua and Jukani. 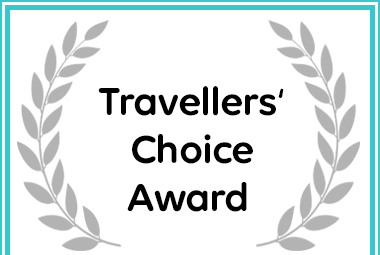 Plett Forest Cabins in Plettenberg Bay has Received a Travellers' Choice Award on Afristay.